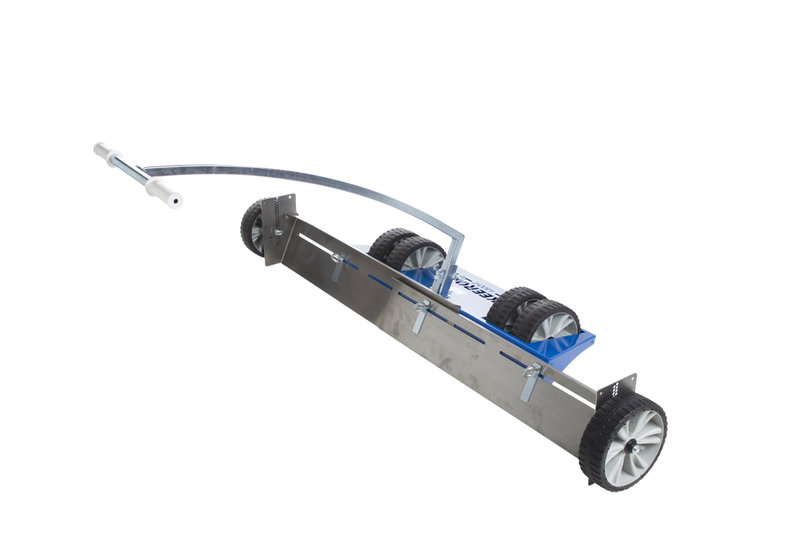 The Keeroo 700A is the leveler which is infinitely adjustable in width from 70 to 120 centimeters. 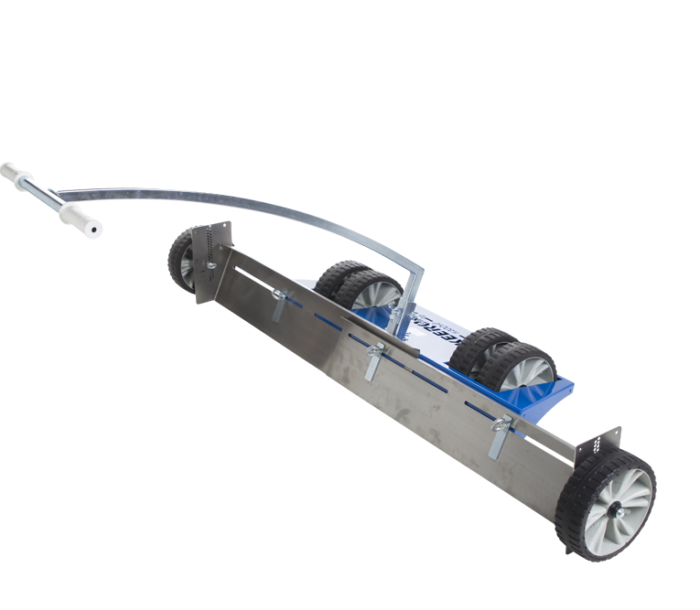 The blades can be adjusted completely flat so that a flat surface is created, but these can also be placed in a roof profile so that the substrate receives a roof profile. The 700A is equipped with stainless steel blades and puncture-proof wheels, which makes the Keeroo requires little maintenance. 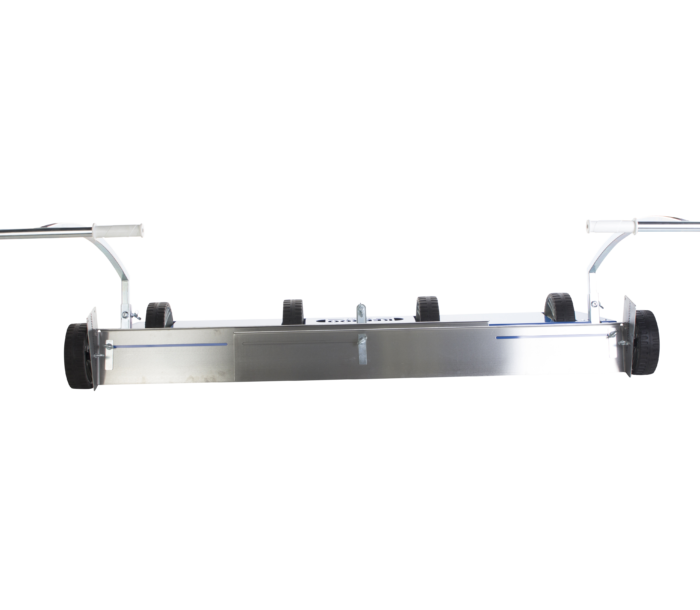 The Keeroo leveler is supplied with the laser rod in which the receiver of your laser can be mounted so that you can equalize by using your laser. 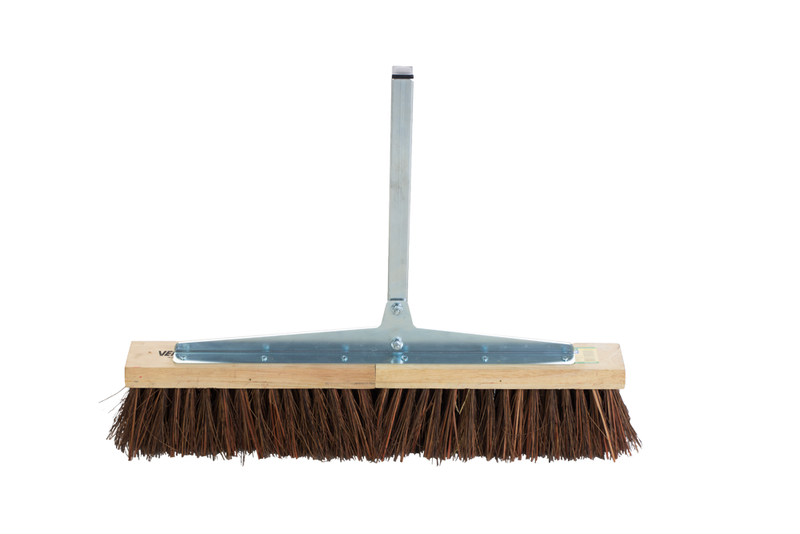 By using the clamp the broom and rake can be mounted to the Keeroo. The clamp is fitted on the drawbar of the Keeroo with the aid of four bolts. Broom to distribute the sand evenly across the pavement. The sand is evenly distributed across the pavement because the broom has the same pressure on the pavement continuously. 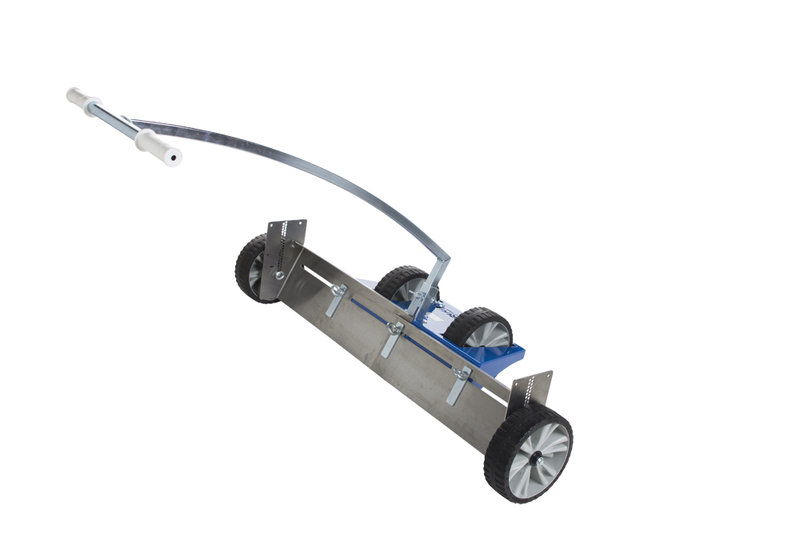 The clamp is attached to the drawbar, the broom is inserted in this clamp and tightened with one bolt. 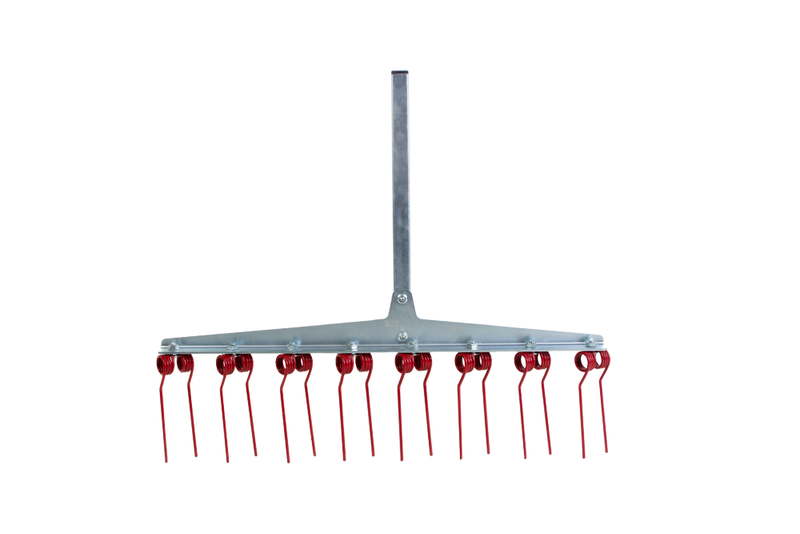 The rake can be used for evenly loosening soil and to rake in grass seed after sowing. 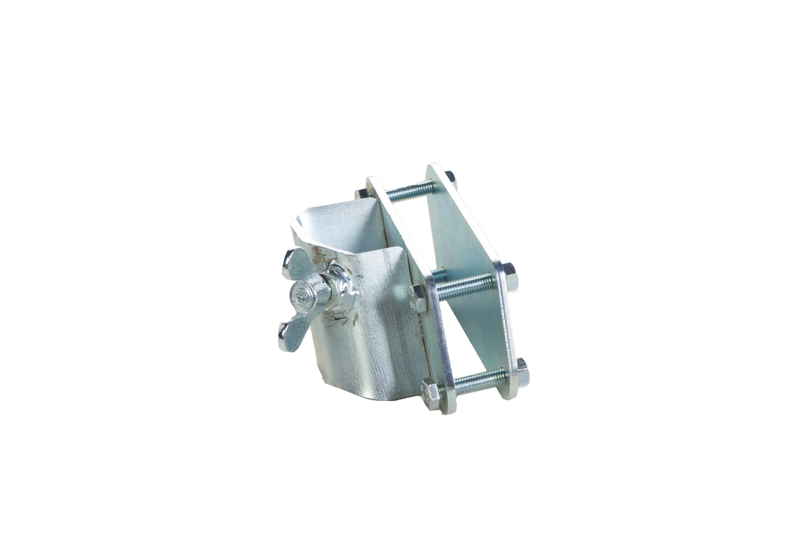 The clamp is attached to the drawbar, the rake is inserted in this clamp and tightened with one bolt. 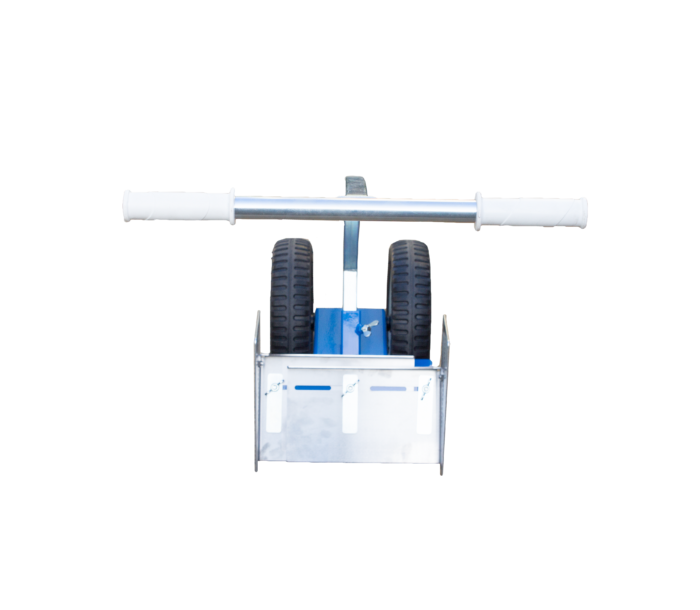 The serrated blades are ideal for leveling coarse areas such as beach volleyball courts and horse paddocks. Due to the toothed blade the substrate divides itself easily and quickly. Also, the toothed blade can be used for evenly scrape off from the substrate. Het getande blad voor de Keeroo 120A is uitermate geschikt voor het egaliseren van grovere terreinen zoals bijvoorbeeld beachvolleyvelden en paardenbakken. Door het getande blad verdeelt de ondergrond zich gemakkelijk en snel. Tevens kan het getande blad ingezet worden voor het gelijkmatig loskrabben van de ondergrond. When the supplied wheels for height adjustment are not sufficient, for example, on high curbs or beveled curbs, these plastic roller can be used. 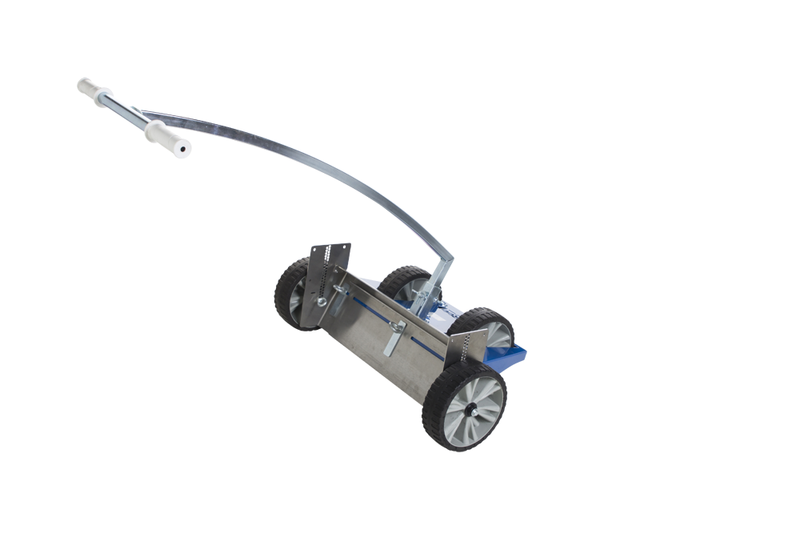 It has a width of 120 mm and can reach a height of 25 cm accessible from bottom blade. An additional reinforcement plate is provided to place between the blade and the roller for strength. Innovation is our top priority. By developing and producing efficient products, we want to make the work of our customers easier and let them save time.